The Genealogue: No Magic Kingdom Visa Stamps? No Magic Kingdom Visa Stamps? 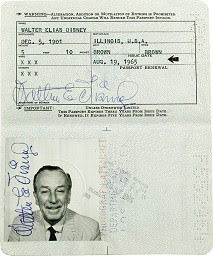 For the next few days you can bid on Walt Disney's last passport on eBay.